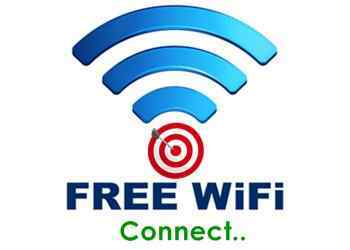 Home Public WiFi HotSpots TechnologyNews WiFiTips-Tricks How is it possible Charging Devices with Wi-Fi signals? How is it possible Charging Devices with Wi-Fi signals? How is it possible Charging Devices with Wi-Fi signals? Scientists transform Wi-Fi signals into electricity, so you never have to charge the phone. Imagine if your smartphone was connected to Wi-Fi and recharged via the Wi-Fi signal. Sounds too science fiction? Well, not anymore. MIT researchers have developed a material that allows electronics to be fully powered via Wi-Fi signals. No battery needed, yes. The most important research is based on the development of a radio antenna with a completely new semiconductor material. This new Rectenna, as it is called is able to capture the Wi-Fi signals it receives and convert them into wireless energy. Thanks to this progress, Wi-Fi can become a widespread source of energy to power consumer electronic devices such as smartphones, laptops and more. If you're wondering how Wi-Fi can generate electricity, here's a brief explanation. The MIT researchers made this discovery by developing a "new device made of a two-dimensional semiconductor with a few thick atoms" that connects to the radio antenna of any device such as a smartphone or a laptop. The Power AC signal moves to the semiconductor, which converts it to a DC voltage signals that could be used to power electronic circuits or recharge batteries, MIT wrote on its official website. Such a wireless charging system, if widely implemented, can not only power the handheld's electronics, but can also transform the potential of Internet of Things devices, remote sensors and integrated devices that do not work with batteries.